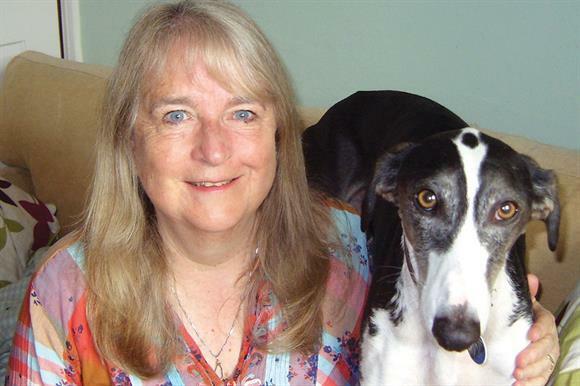 Pat Wilder has been on the board of Greyhound Rescue West of England since March last year, but she says she's been involved in various charities for 25 years as a volunteer, trustee and fundraiser. The charity rescues and rehomes greyhounds and lurchers, supports owners and campaigns on welfare. And, despite its name, it operates up and down the country. Wilder, a former chartered surveyor who has kept lurchers for 30 years, said she was immediately drawn to the role when she saw it advertised. "They wanted somebody with fundraising experience, which I had, and devotion to the cause," she says. "So it seemed a perfect fit." With the relationship between fundraisers and trustees high on the regulatory agenda, Wilder says she's been working closely with the charity's chief executive and the fundraising coordinator on donor development to ensure they have what she calls an easy relationship. She says she was attracted to the 20-year-old charity by the way in which it has grown "sustainably and responsibility" and by its focus on finding the right home for the right dog, which means very few rehomed dogs are returned. Wilder says working with staff and volunteers who are "totally committed to what they are doing and doing it in a very professional way" is one of the best parts of the role: "I don't think I would enjoy it nearly so much if it were being run in an amateurish way without that emotional connection." Wilder's experience in taking on rescue dogs - she currently has a lurcher called Dasher, who is still nervous after being mistreated - has given her an appreciation of the charity's work. "I'm not hands-on," she says. "But it's very rewarding to know our support helps them end up in homes where they become loved family pets."